Q3 was the best period for Samsung in a very long time. They managed to overcome Apple and Nokia, with 98 million handsets sold in Q3. This is an 18.6% increase over the same period last year. 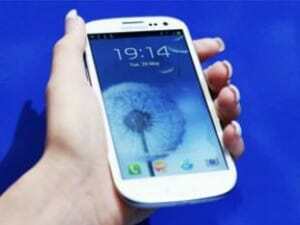 The mobile phone market is successfully led by Samsung with 22.9 share part. Of course, there is one smartphone to thank for that: the Galaxy S3. It was also the best sold smartphone in Q3. The second place in the Mobile phone market is taken by Nokia who sold 82 million units in Q3. However this number is only high due to the large number of low cost devices sold in developing countries, where Nokia is still ruling. When it comes to smartphones, Nokia takes an embarrassing 7.2 million units this last quarter. Samsung on the other hand sold 55 million smartphones (32.5% market share) and Apple 23.6 million iPhones (14% market share). The predictions for Q4 place Apple in the lead with the iPhone 5 being the most target device by customers worldwide. Also Nokia may experience some growth because of the launch of WP8 and their 2 handsets: Nokia Lumia 920 and Nokia Lumia 820.